The NH Commissioner of Agriculture, Lorraine Merrill, met with Tom Younkman and Janis Moore to discuss the AgrAbility Without Borders collaboration between the two states. 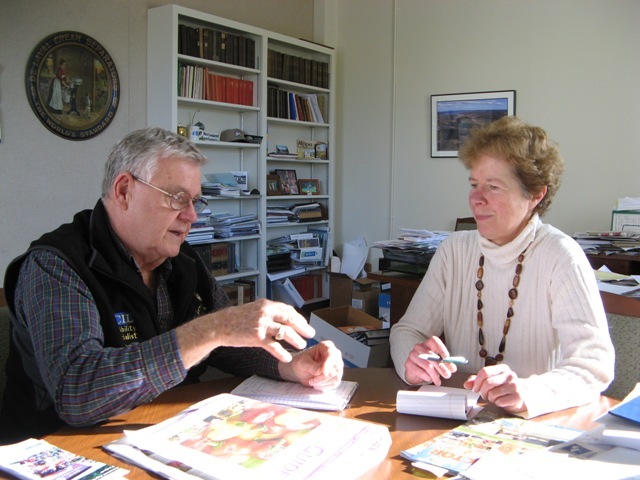 To further the collaboration, Tom and Janis also visited the Granite State Independent Living Center, introduced themselves, and sat down to discuss plans for future meetings. A great day!